Inexplicably, good memories persist. One of my favorite memories is from a long ago summer when he came for a vacation week to play house with me in Maine. It was just the two of us with a big house to ourselves. Freedom. We slept in, we went to the beach, we loaded up on seafood, we watched a junk ton of Netflix and drunkenly, we made berry pies late into the evening. 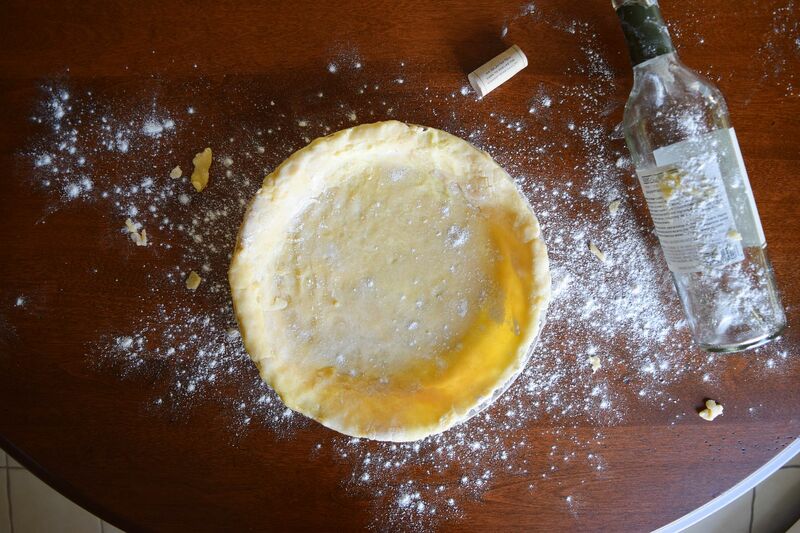 There we were, covered in flour, rolling out a pie dough with a wine bottle, his hands over mine, just feeling young and alive. 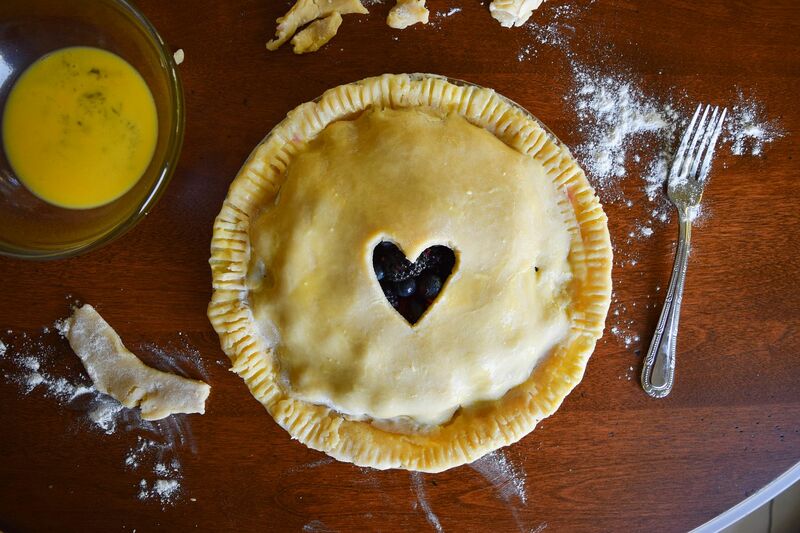 We put the pie in the oven, finished our bottle of booze, and found ourselves so…. preoccupied… my guy and I almost let the pie burn. 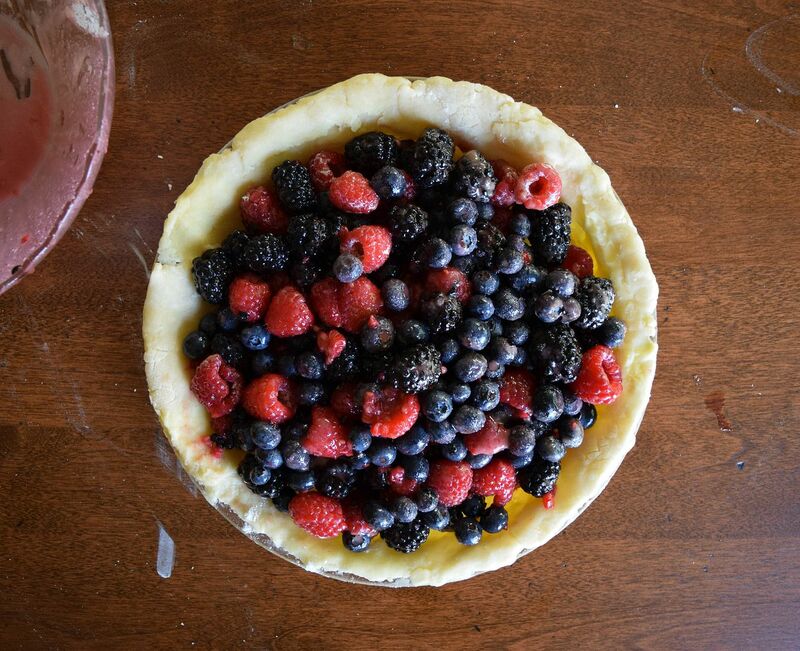 We caught it just in time: the crust perfectly golden, the inside mix of berries bubbling happily. The kitchen smelled like cinnamon and butter. Warmth. Home. 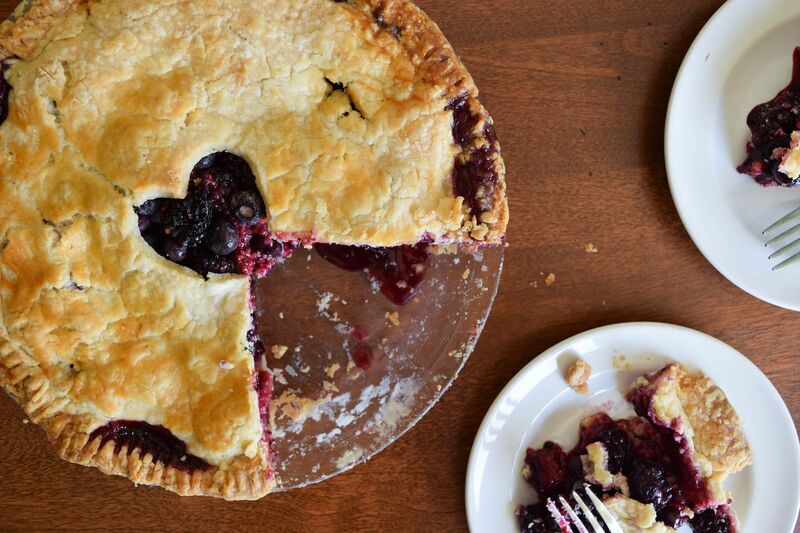 So here’s My Guy Mixed Berry Pie, an ode to times past, when the loving was simple and the pie was sweet. To make the pie dough, place the flour, sugar, and salt in the bowl of a food processor and pulse to mix. Add the cubed butter and pulse 10 - 15 times until the butter is the size of peas. With the motor running, slowly add the water until the dough comes together. Divide it into two portions, wrap in plastic and chill for 1 hour. Preheat your oven to 350°F. To make the filling, whisk together the sugar, cornstarch, salt and cinnamon and toss it with the mixed berries. Roll one portion of the pie dough so that it is an inch or two bigger than your pie plate. 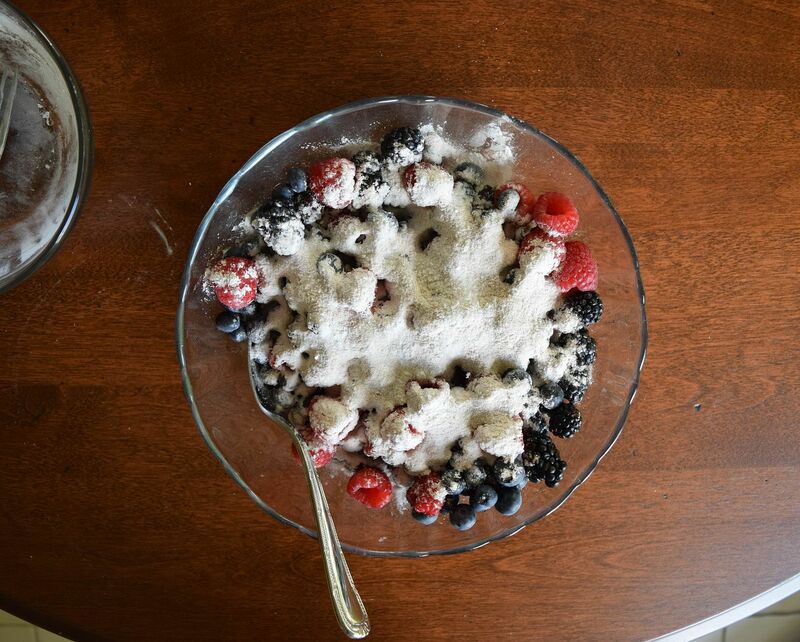 Add the mixed berries. Roll out the second portion of the pie dough and lay it over top of the berries. Egg wash the outer rim and the top of the pie and use a fork to crimp the edges. Cut a vent. 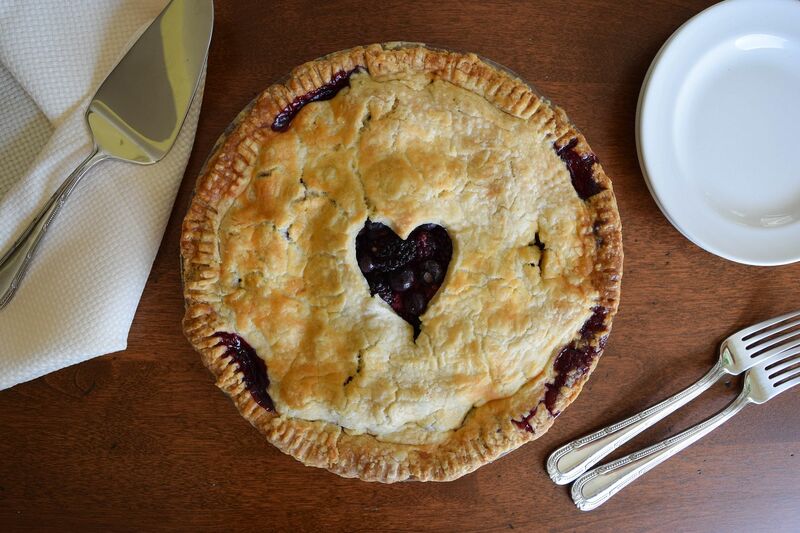 Bake the pie in the preheated oven for an 1 hour and 10-15 minutes. When the pie is ready the crust will be golden and the berries will be bubbling. Let cool slightly and serve warm. For more from Kaitlin Hill and Emotional Eats click here.